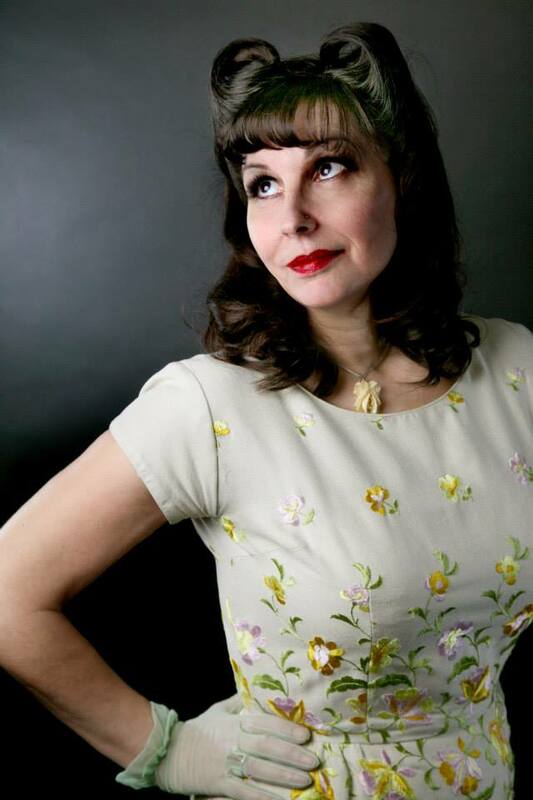 Recently myself and Lilly (aka Team Vintage pamperbox)were booked to do hair and make up on a lovely photo shoot shoot with photographer (and my hubby) Nicky Rockets and I thought I would share the pictures. The fabulous Christine Edun has launched Femme Fatale a website specialising in vintage lingerie. 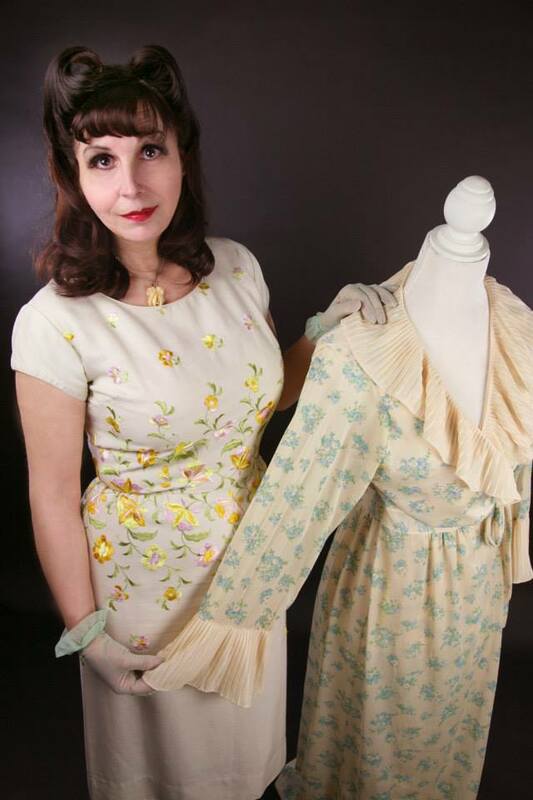 Christine is a lover of the glamour of the past and a collector of beautiful vintage clothes and underwear. She has decided to turn this passion into a business and her beautiful little on line boutique stocks gorgeous girdles, bras, stocking, kimonos and night gowns. All beautifully made in the most gorgeous colours and fabrics with that elegance that only the 40's and 50's has. The photo shoot was to create some promo shots for Christine's PR materials and she brought some absolutely gorgeous original dresses and jackets form the 1940's to model. Keeping with the theme we roller set her hair using classic setting lotion which we decant into spritzer bottles, spraying each strand of hair before putting the rollers in. Once these were totally cold Lilly gently brushed the curls into the desired direction and victory rolled the sides. 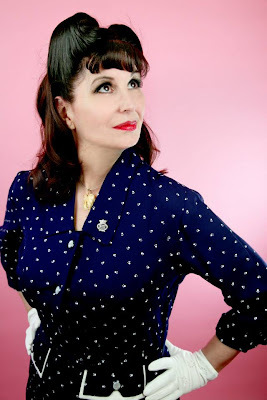 I applied a classic glamorous make up using a slightly smokier eye than is perhaps historically accurate but Christine's eyes are so gorgeous I was determined to make them a feature. I used the classic combination of Macs paint pot eyelid base in shade painterly with the three matte shadows blanc, omega and corduroy. I used Soap and glory's cat eye liner on her top lids and lined under her eyes with some of the corduroy shadow mixed with a little water. Lashing of maybellines colossal mascara was applied as well as a set of false eyelashes. For her skin Christine didn't need particuarly strong coverage so I used bourjois 123 perfect foundationin shade vanilla clair. The forties look is always very matte so I set the make up with macs prep and prime in translucent. Lipstick was so important for this look and Besames red hot shade worked perfectly. Blusher was a simple sweep of bourjois rose. Christine is a truly lovely person and her love for the vintage scene spans years. she is the real deal and I'm sure her boutique will become a real favourite with connoisseurs of beautiful lingerie from an altogether more glamorous time.